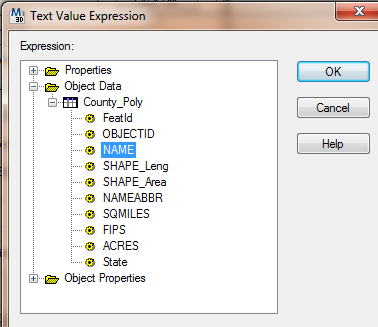 How can I export the attribute information for the shapefile/feature class to Autocad Annotation/Text? 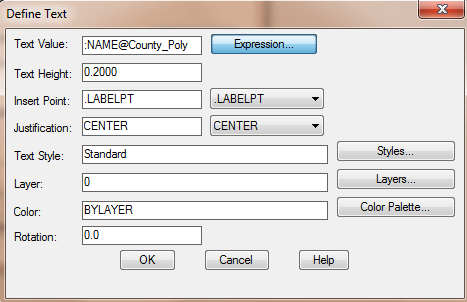 I'm able to export the shapefile to autocad but unable to get the attributes in annotation. 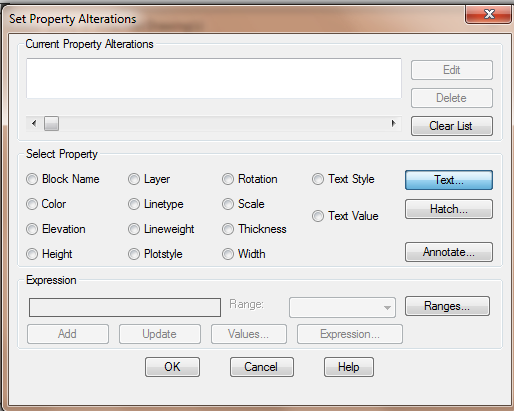 Also Let me know if there any any way we can append attributes in autocad without using blocks. 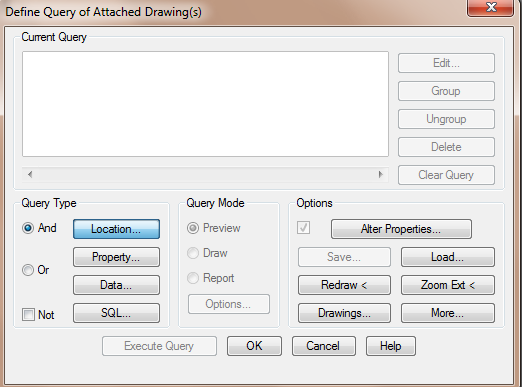 There are only a few options to get attributes from ANY gis system into autocad. 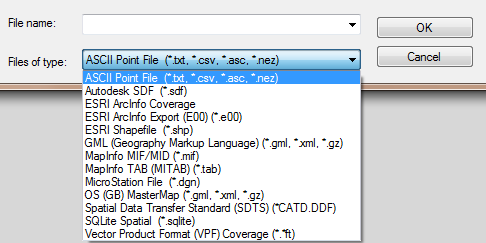 use FME (safe software) and export to autocad map / with object data. from the open new blank drawing on. 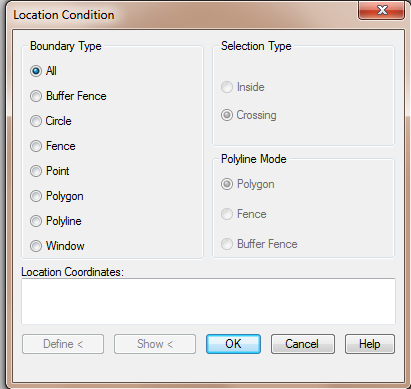 Use autocad map 3d to import the shapefile (or other gis format) and select options on import to create object data. (This is my prefered method). EDIT: I think if you are asking if you can have an external table the short answer is yes. 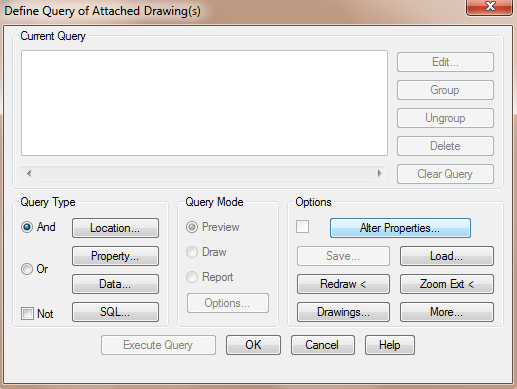 If you want to "link" table values to objects in the autocad drawing there is a process for that also. I will post some links. If you have any questions I can come back and add similar step-by-step for this. If you set up the link template before you import the shape file (to autcad map 3d) that is then an option in your import dialog. 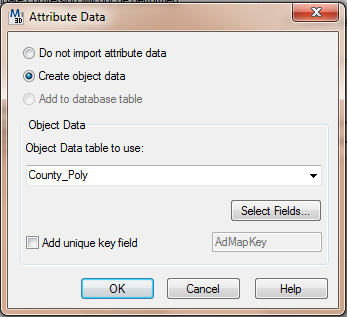 You can then populate an empty table with the shapefile attributes and they are automatically linked to the (point) objects they represent. If you can get that far and want to go further you might look into dynamic annotation from db. This link provides a sample dwg and slight discussion. The rest can be found in autodesk help documentation. Change the oobject data table name if you like. 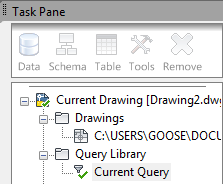 Ok that, and you can change the name of the incoming data on the drawing layer column. turn the polygons to show outline only. 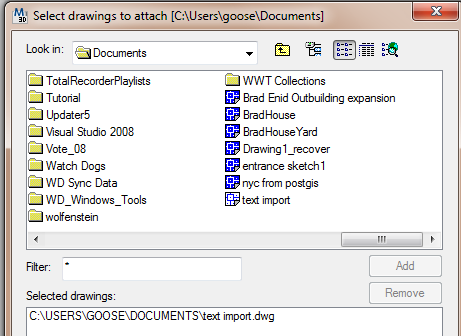 Save and close the drawing (text import). 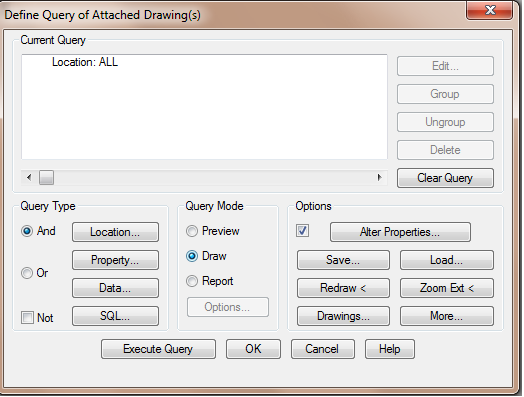 Now in a new blank drawing attach the previous drawing (text import). Then select the field you want to create text for. Detach the drawing and save. 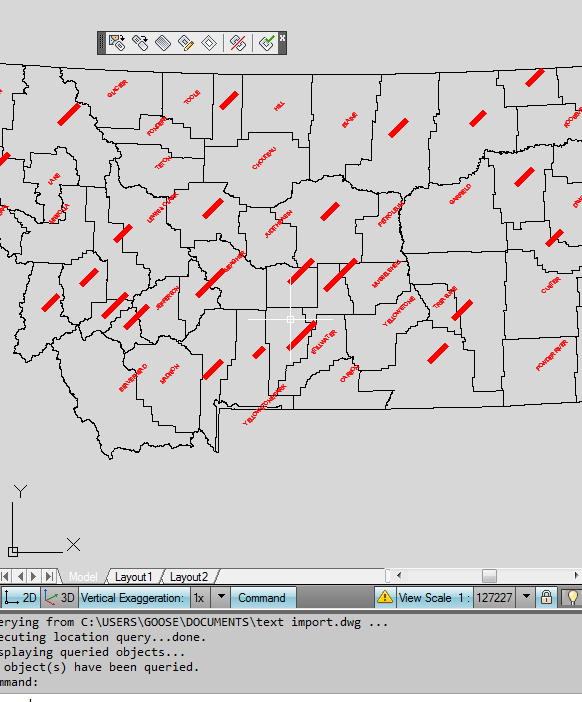 The ESRI solution which now works but takes a lot of work to get the data on different layers and etc. In other words to make a nice CAD drawing. The add cad fields will prepare it for seperation on layers with color. 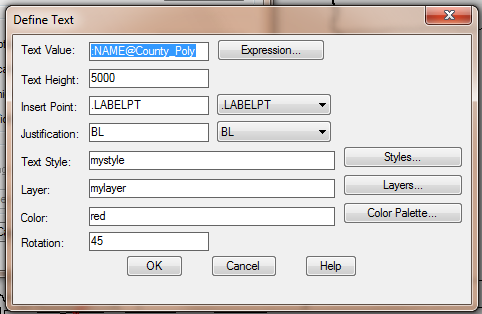 The layer and text properties are probably all you would need. Once the CAD fields are in the attribute table you would need to calculate values to put into each field. I don't use this method so I didn't spend a lot of time on explaining this. But, the more time you spend on this the better your CAD drawing will work and look. e.g layers = street names, building address, parcel owner. you can read the help on the seed file and overrides for that. After this, you can use "Convert Tools > To CAD > Export to CAD" in the ArcToolbox. As Input features choose both your layers and the layers annotations, and export. Not the answer you're looking for? Browse other questions tagged convert autocad or ask your own question. Importing shapefile into AutoCAD Map 3D? 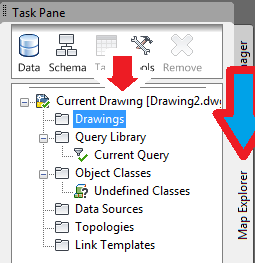 How can I export elevations from AutoCAD in a format that ArcMap can read?